The goal is to improve public safety and provide better outcomes for the young people in the system. When it comes to rehabilitating teenagers who commit crimes, national research suggests proven programming aimed at changing behaviors works best. Sedgwick County’s new juvenile offenders program will feature this type of cognitive behavioral programming. The new plan will also include a shift in the entire juvenile services division to support and strengthen the whole family--another “best practice” in juvenile justice reforms. Corrections Director Mark Masterson says these two components will help reduce the juveniles’ risk to commit future crimes. "Putting research into practice is the most exciting part of this plan," Masterson says. "Better engaging families... If you didn’t do anything else, that’s the biggest bang for the buck in reducing recidivism long-term." Youth offenders that are assessed to be at moderate or high-risk to re-offend will complete 69 to 91 hours of programming that target criminal risk factors, and development of social and problem-solving skills. The lessons will be done in group sessions with facilitators and involve practice exercises, homework and role-playing to polish new skills. A second round will include training on anger management and moral reasoning. Masterson says the goal is to serve about 100 boys and girls in the 13 to 19 age range each year. "Reducing recidivism has a big cost impact and a positive one on future crime victims, on system costs, on going to the adult system or back deeper into the juvenile system," he says. "So there are a lot of savings that are positive returns on investment if you can do that." The county’s investment in this new juvenile program totals about $519,000. A portion, $82,000, will come from this year’s budget for five new employees who will start work October 1. They will develop the program and protocol needed to get the services started by the end of the year. The remaining portion, $437,000, is included in the county’s 2016 recommended budget. "I’m very positive and supportive of this new direction," says Sedgwick County Commissioner Dave Unruh. Unruh and the four other commissioners recently voted unanimously to begin this new juvenile offenders program. That means the proposed funding is pretty much assured if the county adopts the budget on August 12 as expected. "The family engagement model that’s going to be used is proven effective at other places in the U.S.," Unruh says. "Obviously if you can get the family involved in this rehabilitative process, and not only change the thinking and habits of this young offender, but get his folks on board with a new way of thinking also, it’s got a much greater possibility of producing the results we want. And ultimately, that is to keep people out of prisons and make them productive citizens." The name of the new program will sound familiar: the Judge James V. Riddel Boys and Girls Alternative Program. 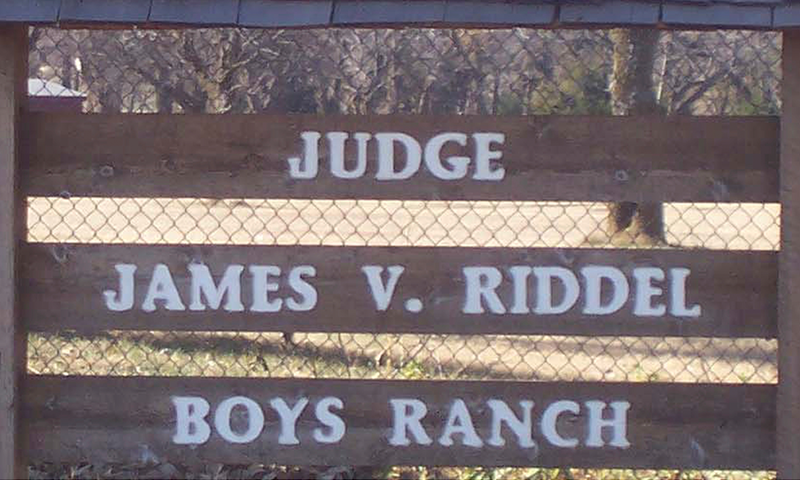 Former Juvenile Judge Riddel was a strong advocate for rehabilitating youth offenders, and he helped develop the boys’ ranch at Lake Afton that was named after him. The residential juvenile offender program at the ranch began in 1979. Corrections director Mark Masterson says the boys’ ranch was closed in 2014 due to a lack of funding. "I was a supporter of keeping the boys ranch open as was the county because it was a model program," he says. "The ultimate vote of the commission was that if the state wasn’t going to raise the amount that they reimburse the county for the program, it would be closed. It was a straight funding decision." Masterson says the new direction the county is taking with its juvenile justice program is a cheaper alternative to re-opening the ranch. The new program will now serve girls too, unlike the ranch, which was exclusively for boys. 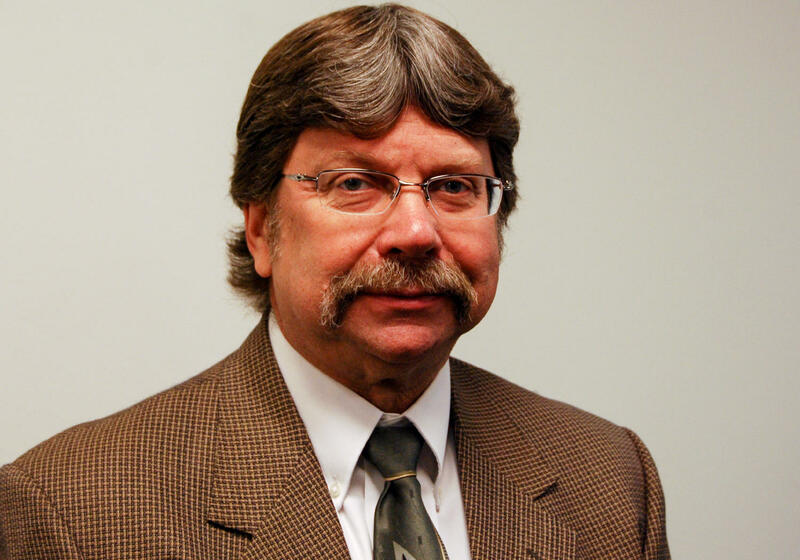 Commissioner Jim Howell pushed for the county to maintain the Riddel name for the new program because he says it will remind people of the original purpose help get troubled teens on the right path. "We’re going to hit the entire population of kids that are in these programs rather just a subset of these kids," Howell says. "So we are hopefully going to become even more effective and see better outcomes on an expanded program which is actually more efficient." While Howell supports the new program, he is still interested in getting the ranch re-opened possibly by having a private organization take the lead. Under the new program, the county will work to place about 90 percent of those kids from Sedgwick County in Sedgwick County among the four youth residential reform facilities that are already operating. Howell isn’t convinced the 123 beds available locally will be enough. "We do actually have a facility out at Lake Afton that could be operated in the private sector, and as a county commissioner I am interested in hearing from the private sector if there’s anyone who would be willing to take on the role of becoming a new provider, maybe a fifth residential facility," Howell says. "We do need that bed space." The four local facilities can house 109 boys and 14 girls who are mandated for out-of-home placement. "At this point, I think there’s no indication that we have a shortage," Commissioner Unruh says. "I think in fact that we have some excess bed space. We are going to try to make an effort to secure more female beds. We think that some of our partnering agencies in the community have the physical capacity for it, we just need to encourage them to make those beds available. And since we are the authority for making these placements, I believe we’ll be able to get them to cooperate with us." The county will also be providing the programming while the kids are at the facility and continue it when they transition to home if they have not yet reached completion. What remains unclear is the future of other local efforts designed to improve the lives of juvenile offenders and reduce recidivism. The county is proposing to cut $100,000 out of its Community Crime Prevention Fund. That could affect ten programs, including KANSEL’s GED program for at-risk youth. KANSEL’s executive director Linda Eaves says they’ve partnered with the county for 17 years and have had success in helping troubled teens get on the right path. Now, she says, KANSEL could lose the county’s $84,000 in funding. "It will be a game-changer for us," Eaves says. "KANSEL keeps these youths of the streets. We often have said, 'You either pay now or pay later.' We have over 200 students. 98 percent of them have not committed any kind of criminal activity after being in our program." KANSEL and dozens of other arts, recreation, economic and health programs in the county will learn August 12 if their budgets for next year are reduced or in some cases eliminated. County leaders say the recommended county budget is based on a majority of the commissioners’ priorities, such as focusing on core services and using cash instead of bonds for road and bridge repairs. The new Riddel program is clearly a priority, given the commission’s early budget approval. The Sedgwick County Commission held a public hearing Wednesday to discuss potential funding cuts to many county-backed organizations. A budget proposed by Sedgwick County officials that includes millions of dollars worth of funding cuts continues to affect the city’s budget talks. County officials have recommended cutting over $500,000 in funding for the Sedgwick County Day Reporting Center, which offers an alternative to incarceration for non-violent, low-level criminals. The program also offers counseling and substance abuse treatment.